Boring fetch quests torpedoed the Xbox 360 and PS3 game. The iPhone and iPad title, though, is still top notch. Like thousands of other players, I couldn't wait to play Rage on Xbox 360. 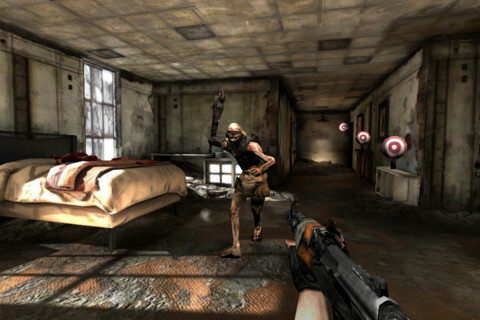 The game had years' worth of hype, and with id Software at the helm, appeared to be one of 2011's finest titles, an epic first person shooter with plenty of monsters and weapons. Not only that, but it looked gorgeous. The game's October 4 release finally arrived, and I quickly made the trek to GameStop, flew home and installed all three discs on the console. You know, to experience Rage at its best. There are no boring quests in Rage HD. Just lots of shooting. A short while later, I was in the world, exploring the wasteland in the quad, accepting missions and then infiltrating bandit hideouts to give them what for, all the while marveling at the beautiful visuals. At the same time, I couldn't help but notice disappointment creeping into the experience. It was small at first and easily brushed aside, but it slowly intensified the more I played. I wasn't having fun. If anything, I was merely going through the motions. Talk to this person, speak to someone else, snipe some bandits...rinse and repeat. Then little things bothered me. I couldn't get past how enemy weapons slowly disintegrated, or the way the developers forced me to take part in races when all I wanted to do was kill things. Bottom line, Rage was/is a colossal bust. If anything, the game exposed id Software's refusal and/or inability to craft an engaging story and deep play. No big surprise, since the company built its empire upon mindless first person shooters like Wolfenstein 3D and DOOM. Rage HD also lacks those bothersome driving sequences. To that end, I plugged a few more hours into Rage and recently abandoned it altogether. 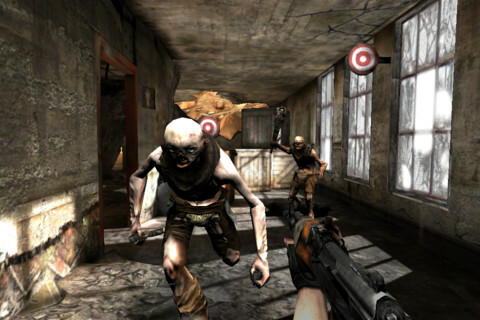 It's a shame, because id got off to a tremendous start with Rage HD, the on-rails shooter for iPhone and iPad. Released in 2010, this tiny slice of what was to come immediately rose up the App Store sales charts, offering users a shockingly good looking title with slick motion controls. It represented a benchmark in iOS graphics that helped convince critics that Apple belonged in gaming. Most importantly, Rage HD was a lot of fun. A bit too short with limited replay value, but definitely worth $1.99, unlike its more fully featured $59.99 follow up. With this in mind, here's one of the rare cases where the iOS version is actually superior to its console counterpart, perhaps because Rage HD easily hid Rage's shortcomings. I had an absolute blast tearing mutants to shreds on the iPad. If anything, it helped sell me on purchasing Rage for Xbox 360, further proof that publishers can use the App Store as a vehicle to promote bigger games. They just need to fulfill their end of things by, you know, making those games enjoyable.